Gearboxes and speed reducers are mechanical speed reduction equipment used in automation control systems. Gearboxes are used to increase torque while reducing the speed of a prime mover output shaft (a motor crankshaft, for example). The output shaft of a gearbox rotates at a slower rate than the input shaft, and this reduction in speed produces a mechanical advantage, increasing torque. A gearbox can be set up to do the opposite and provide an increase in shaft speed with a reduction of torque. Enclosed-drive speed reducers, also known as gear drives and gearboxes, have two main configurations: in-line and right angle which use different types of gearing. In-line models are commonly made up of helical or spur gears, planetary gears, cycloidal mechanisms, or harmonic wave generators. Right angle designs are typically made with worm gearing or bevel gearing, though hybrid drives are also available. 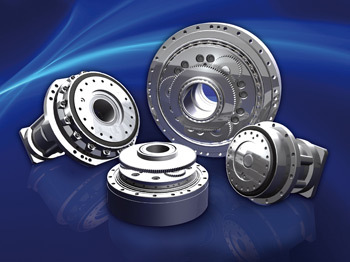 The type of application dictates which speed reducer design will best satisfy the requirements.